Hello! Today I'm back with my swatches and unboxing of January's MeeBox. If you missed my post for last month's 'No Place Like Home' box, you can find it here (spoiler - I loved it!). 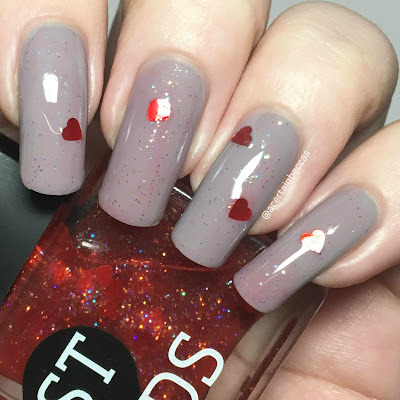 January's theme was 'Galentines', and not only included our normal goodies, but also contained an extra polish to give to our best friends. Read on for full swatches and a look at everything inside! First up is Models Own 'Chrome Rose', a rose gold chrome. 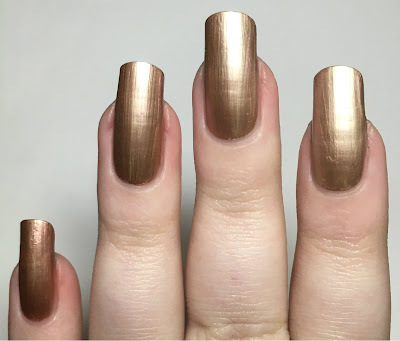 I already have a bottle of this for stamping, but you guessed it, I hadn't worn it! 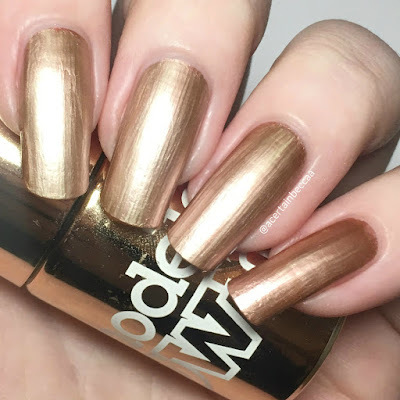 I've read to wear these chromes without base and topcoat so did exactly that - and it shows ridges I didn't know I had! My bottle was quite separated, and even after a good shake my pinky still came out darker. However I did find it to be an easy one coater. 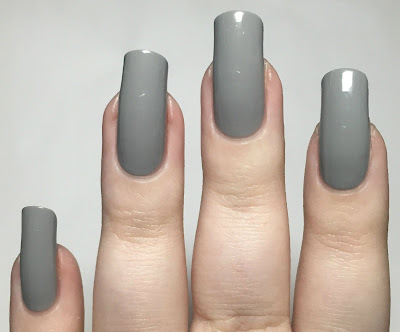 Below is one coat without topcoat. 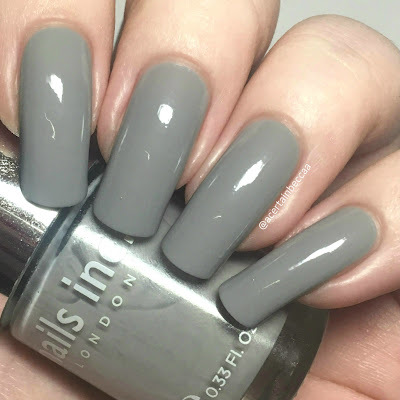 Next is Nails Inc 'Hyde Park Place', a grey creme. This is in the older style round Nails Inc bottle. It is very smooth and easy to apply. The first coat is slightly streaky but the second evens it out and covers perfectly. This seems to dry down slightly darker than it applies. It also dries fairly glossy. Below is two coats without topcoat. 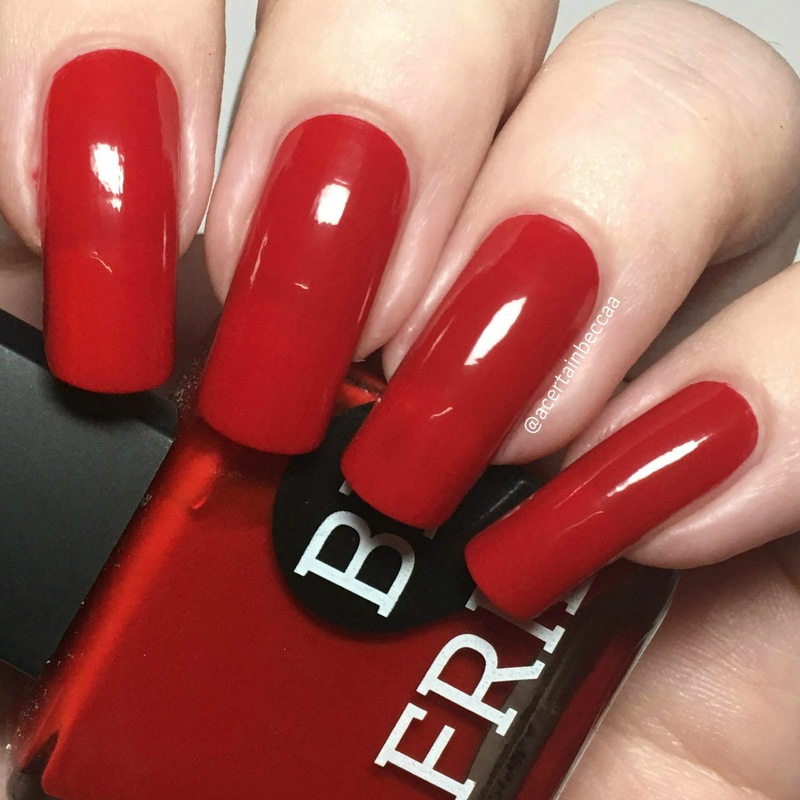 The last polish meant for us this month is NCLA 'Friends', a bright red creme. This is from their Friends Forever duo. The formula is really smooth to apply and covers very evenly. I did need to add a second coat to cover my nail line (you can still see it afterwards in my pictures, but not in person). If that's not something that bothers you, you can easily get away with one coat. This also dries glossy. Below is two coats without topcoat. The second half of the duo, 'Forever', is a very sheer pink base with holographic glitter and red hearts. This is the polish meant for our 'Galentine'. My nail bestie is Kirsty (FairyTales Nails) who also gets MeeBox, so we ended up swapping our bottles. 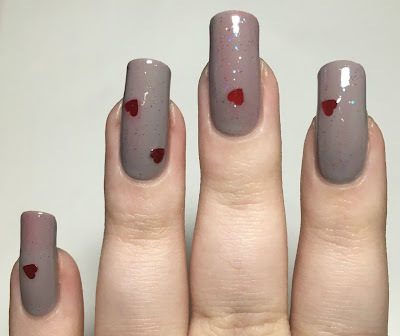 While you do get a fair amount of the holographic glitters out on the nail, I had to fish for the hearts. Below is one coat and topcoat over 'Hyde Park Place'. As our extras this month, we were treated to two hand care items - a full size Lauren B Beauty hand scrub, and a sample size Cuccio hand and cuticle cream. I really like both! I always have a scrub in my routine as I find they do a world of good, and the cream is a great size for a sample. A little seems to go a long way, and it smells gorgeous! What do you think? Honestly, I'm a bit torn on this months box. 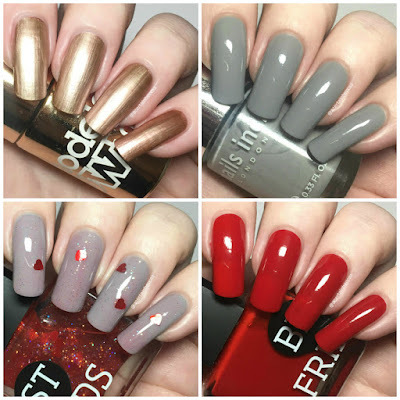 I like the theme, and the polishes fit it perfectly - but individually I'm not a massive fan of them all. The colours aren't really my cup of tea. That being said, I really did like the NCLA red creme (and the duo itself is adorable!) and love both hand care items. I think it's just down to personal preference this month! Not really sold on this box to be honest but your swatches are lovely!